Regional Phthalic Anhydride Markets Demonstrate Positive Dynamics | Merchant Research & Consulting, Ltd. Many regional markets for phthalic anhydride (PA) are currently demonstrating positive dynamics, though the environment in which these markets operate can be characterised by disruptive economic turbulence, shifting political climate, and confrontational regulatory regime. It is only sufficient to mention that phthalic anhydride has been included in the recent list of Chinese imports worth $200bn that are subject to a US-imposed tariff of 10% (with a prospect to peak 25% as of 1 Jan 2019). The positive dynamics of many PA regional markets is marked by good production margins, strong demand for PA from downstream markets and healthy operating rates. Of course, phthalic anhydride largely mirrors feedstock orthoxylene (OX) price dynamics. In August – September 2018, OX prices were up in Europe, East Asia, and the US, driving the prices for PA and its end-products up too. If upstream orthoxylene (OX) costs continue to increase further, it may adversely affect PA market situation. Capacities and needs of some regional PA markets, for instance of the Indian PA market, are evident and straightforward. Currently, India has a PA market demand at around 350,000 mty. This demand grows 7-8% a year due to end-user industries. The country also has only two domestic PA manufacturers – Thirumalai Chemicals with a 145,000 mty facility in Ranipet and IG Petrochemicals with a 116,000 two-line facility in Taloja. Capacity expansion therefore would be a reasonable business decision in order to substitute existing PA deficit on the regional Indian market. This deficit is currently covered by the PA imports from South Korea. IG Petrochemicals plans to expand the capacity of its PA4 plant (56,000 mty) in Taloja by 30% in 2019. IG Petrochemicals is known to be one of the lowest cost producers of phthalic anhydride in the world (the company uses Wacker Chemie’s Energy Process and Lurgi’s engineering technologies). The analogous step will be taken by Thirumalai Chemicals, which will commission a new PA unit in May 2019. These activities clearly confirm positive moods of Indian PA manufacturers, especially when their capacity expansion plans are oriented towards vertical integration with units manufacturing prospective end-products, including polyester resins and phthalate plasticizers, like dioctyl phthalate (DOP). 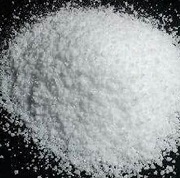 More information on the phthalic anhydride (PA) market can be found in the in-demand research report “Phthalic Anhydride (PA): 2018 World Market Outlook and Forecast up to 2027”.